What’s getting in the way of your signal? Some materials used in home construction can weaken your Wi-Fi signal strength. Metal in particular can cause interference because it can reflect and scatter Wi-Fi signals. Culprits include metal framing, ductwork, electrical panels and metal roofs. Common, non-connected electronic items can some- times interfere with your Wi-Fi strength. These include microwave ovens (the major offender), cordless phones, Bluetooth devices and even fluorescent lights. If you have a number of devices fighting over your Wi-Fi signal, you may want to consider increasing your internet speed. Give us a call. We’ll walk through how you use your broadband internet connection and talk about the right package to meet your needs. Every device connected to your Wi-Fi is sharing the total bandwidth of your home’s internet connection. If people in your home are streaming a movie on a tablet, playing a gaming console, watching a smart TV, sharing photos online and searching the internet all at the same time, some users could notice slower performance compared to times when fewer devices are used. Some computers and gaming consoles may use older technology that can’t take advantage of today’s higher speeds. If you use Wi-Fi enabled devices in rooms far away from your router, you may want to consider adding one or more network extenders to your home. 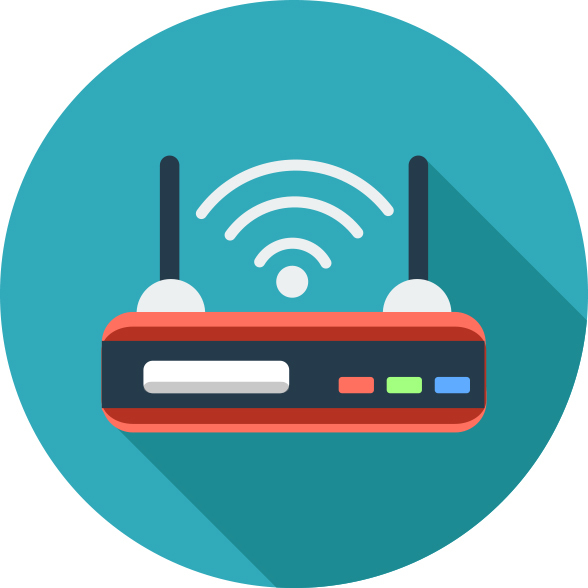 Give us a call and we can discuss ways to boost your Wi-Fi signal strength to extend better connection speeds to more rooms — or even to a patio or deck. A computer in a second-floor bedroom, for example, may have a weaker connection than a computer on the first floor where the router is located.